The Lithuanian Peasant and Greens Union won the election on a platform of combatting social segregation and raising wages, but so far the actions of the new government betray more interest in identity questions, Alfa.lt reported. The first major scandal in Seimas originated not through economic or social policy arguments, but passions over amendments to the artificial insemination law which caused friction between the more conservative “Peasants” with party leader Ramūnas Karbauskis at the head and the more liberal part of society. While so far the “Peasant” leader announced that he would back away from the more conservative position, it is unlikely that this Seimas will not attempt to implement other legislative initiatives based on moral conservatism. But how would such ideas be met by Lithuanian voters? 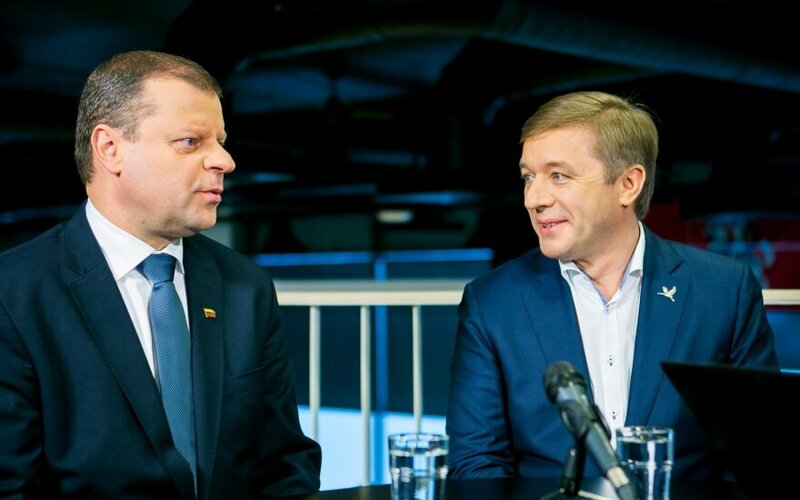 At least for now the Seimas and cabinets of Lithuania have focused more on economic problems and the larger scandals were related to political corruption. Political scientist Vincentas Vobolevičius told news portal Alfa.lt that the “Peasant” turn toward accenting moral questions depends on how the political environment of Lithuania will look in the future. 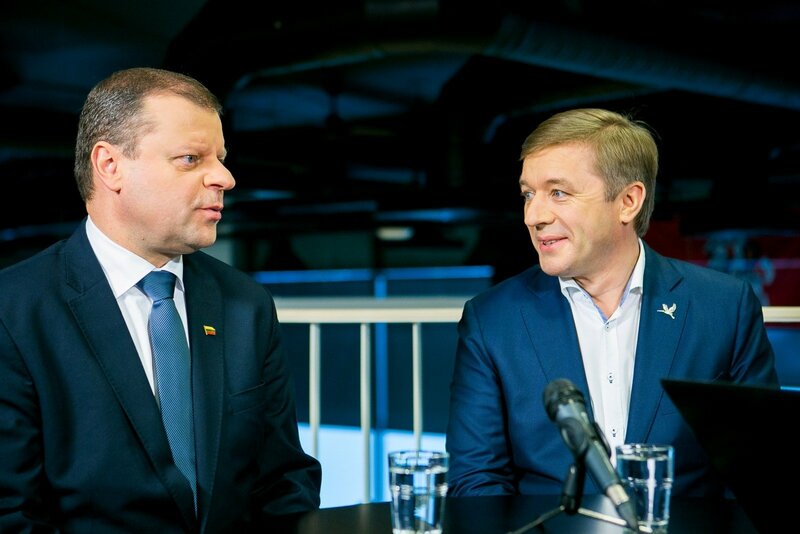 If the Homeland Union – Lithuanian Christian Democrats manage to purify their ideology, while the Social Democrats and Liberal Movement weaken, R. Karbauskis’ political power will naturally turn to social conservatism. “Everything depends on who will be the “Peasants” rivals in the political sphere. Let us imagine a scenario where Lithuania goes the way of Poland – the Liberal Movement could be gradually “eaten up” by various minor scandals and then the remnants of the party join the Conservatives, who in turn reinforce Gabrielius Landsbergis’ line and evict the Christian Democrats. With the latter then joining the “Peasants”, the Conservatives would become a more liberal equivalent of the Polish Civic Platform, while the “Peasants” would become analogous to Jarosław Kaczyński’s Law and Justice Party. Of course in Poland the moral conservatism of Law and Justice has more prospects in Poland because society there is far more conservative, but in Lithuania the “Peasant” social conservatism could be far more secular, but still sufficiently conservative,” mused Vobolevičius. If such a scenario does not come about, the “Peasants” could still propose socially conservative ideas and not lose popularity, but for this, the political scientist notes, they have to work with voters who could become their new foundations. “The “Peasants” should work with their socially conservative electorate. Just look – in Lithuania around a tenth of the population visits the church every week. You could ask how much could that be? This is, however, a significant amount of votes in the first round where parties and candidates rarely gather more than a fifth of the vote. Then, of course, the question of how to motivate those voters remains. Obviously just talking about homosexuals will not suffice. They need a whole social bundle,” explained Vobolevičius. According to him if the “Peasants” manage to unify social conservatism with representing pensioners, small town inhabitants, devout Catholics and small business interests, becoming a populist leftist party in economy and leftist culture, then the opportunity to retain popularity in proposing similar legislation attempting to limit artificial insemination exists. “But that is still very far away. We cannot say that pushing culturally conservative questions is automatically a suicidal move, but to avoid it becoming one it is necessary to work with relevant voters a great deal – find them, motivate through social and economic policy, work on campaigning and propaganda,” spoke the political scientist. Speaking to news portal Alfa.lt, political scientist Bernaras Ivanovas tells a different version of the Peasant Greens chances to establish socially conservative legislation. According to him the fact that R. Karbauskis and the “Peasants” first presented a conservative artificial insemination project and then unexpectedly backed away from it shows a duality hidden in society regarding these questions. “Everything is made more difficult by the fact that in the public there is a certain dichotomy regarding these questions. A number of people declare themselves as catholic, state they adhere to certain, in their opinion, Catholic values, vote for respective politicians, but when they reach questions such as artificial insemination and abortions, which touch upon people’s lives, then, specifically then, the enthusiasm quickly vanishes. It is a sign of a certain civic immaturity because we are inclined to greatly compromise on value questions and have rather ambiguous positions,” spoke B. Ivanovas. As such, in his opinion, R. Karbauskis acted analogously – first he spoke as a confident conservative, but having understood that society supports limitations on artificial insemination more on a theoretical level, he acted equally pragmatically and backed away.